What is peach seed? What is it used for? Peach seeds come from the fruit of the peach tree (prunus persica), which are believed to have originated in China but are now found throughout the world's temperate regions. Spanish explorers are believed to have brought the peach to the New World; documents show that peach trees were being grown and cultivated in Mexico as early as the beginning of the 17th century. Cultivated peach trees are somewhat shorter than wild peach trees, reaching an average height of 12 to 15 feet. Peaches usually develop during the spring and ripen in the summer, and consist of a soft, fleshy exterior (with a downy, fuzzy skin) and a hard interior, often called a stone or pit. Peach seeds are enclosed within the stone. In China, peach seeds are harvested after a peach ripens by cracking open the stone, harvesting the seeds and drying them in the sun. After being dried, the seeds' skins are peeled off. They are typically used either raw or parched. Peach seed is considered to have bitter, sweet and neutral properties, and is affiliated with the Heart, Large Intestine, Liver and Lung channels. In traditional Chinese medicine principles, it invigorates the blood, removes stasis, and moistens the intestines. Peach pit is used to treat a variety of conditions related to the blood, such as amenorrhea and dysmenorrhea. 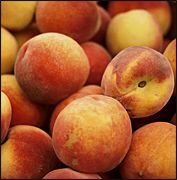 An extract found in peach seeds, amygdalin, has been shown in some studies to effectively treat hepatosplenomegaly, a condition that causes abnormal enlargement of the liver and spleen. The fats and oils contained in peach seeds help moisten and lubricate the intestines, and can treat constipation. Peach seeds are also sometimes used to help relieve coughs. How much peach seed should I take? The typical recommended dose of peach seed is 6 to 10 grams per day. Some practitioners recommend a slightly lower dose (between 4.5 and 9 grams of peach seed), either ground into a powder or used in a decoction. What forms of peach seed are available? Peach seed is available as a powder or decoction. Extracts of some components found in peach seeds can be found at herbal shops and nutrition stores. What can happen if I take too much peach seed? Are there any interactions I should be aware of? What precautions should I take? Peach seed can contain high levels of hydrogen cyanide, a toxic compound. Although hydrogen cyanide is usually present in levels too small to cause any harm, excess amounts can cause headaches, blurred vision and heart palpitations. Therefore, very bitter seeds should be avoided. Peach seeds can also promote the contraction of the uterus, and should be avoided by women who are pregnant and/or breastfeeding. In addition, patients with loose stools or diarrhea should not consume peach seed or peach seed extracts. As of this writing, there are no known drug interactions with peach seeds. As always, however, make sure to consult with a licensed health care professional before taking peach seeds or any other herbal remedies or dietary supplements. Liu CH, et al. The pharmacology of tao ren. Journal of Pharmacology and Clinical Application of TCM 1989;2:46-47. Liu QZ. The pharmacology of tao ren's water-soluble components. Journal of Chinese Patented Medicine Research 1987;8:47. Rui HK, et al. The chemical composition of tao ren oil. Journal of Chinese Patent Medicine 1992;14(2):33. Sun WK, et al. Tao ren's effect in counteracting liver damages due to lipid peroxidation. Hunan Journal of Medicine 1993;9(6):47-48. Zhuang SSS, et al. Tao ren: its chemistry, pharmacology, and biochemistry. Foreign Medicine Volume of TCM 1987;4:31-36.